← Where has all the Ice Gone? Among relatively new entries to the “eco” lexicon is the term natural capital. From the many definitions I’ve come across I can probably best describe it as being a method of recognising the eco-system services that our natural capital provides us, such as water supplies (from springs, streams and rivers), arable land (from soil) and air quality (from trees and plants). I recently spent some time in Rathfarnham’s Marley Park with Paddy Wordworth, a great proponent of the idea of natural capital. He spoke passionately about the subject and how (put simply) our rivers, forests and soils provide eco-system services on which our economy is based. An example he gave is how a recent study has shown that strategic tree planting can contribute to very cost-effective flood management systems, which can obviously benefit home and business owners in the long-term. The Irish Forum for Natural Capital (IFNC) was set up to raise general awareness about natural capital. As Chair of the Business & Economics Working Group of the IFNC, I’m looking at it from a slightly different angle. The group comprises a number of people, from both the private and public sectors, and we’re examining ways to get companies engaged on the subject. The rationale is that if companies identify risks to their business, through researching the eco-system services on which they are dependent, they can put a value or cost of those risks. Once the potential financial impact is determined, this may encourage companies to examine ways to mitigate against such risks; for example, by working with third parties to look at ways of preventing water pollution or flooding. It was lovely, as always, to spend time in a forest, albeit in an urban park setting. Most Sundays I’m out tramping around some part of the Dublin or Wicklow hills, refreshing both mind and body. With Easter just around the corner, why not spend some time amidst our country’s wonderful natural capital? 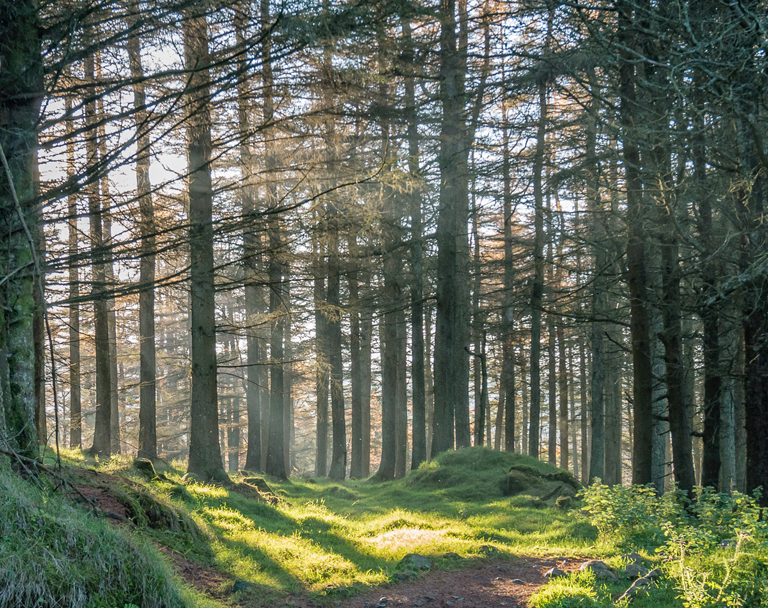 Have a look at the Coillte Outdoors website for some ideas. For a more detailed natural capital description, visit the Irish Forum for Natural Capital (IFNC) website. Tree planting and flood prevention: Countryfile, tree planting can reduce flood risk, finds study. This entry was posted in Climate Change, Natural Capital. Bookmark the permalink.